What is Adio If, the pendant style vibration generator? Adio If is a pendant style health appliance. This can bring out your natural healing ability by wave-resonating with your “brain stem”, which is the resource of life. You can receive the vibration from Adio If in any time by wearing this pendant. Not only to bring out your natural healing ability, can you also expect to protect the brain stem from the effect of electromagnetic wave. If you want to have the advantageous effect of Adio If, avoid taking on noble metals, wristwatch, constrictive clothing and shoes, or strong fragrance. Choose to wear natural fibrous clothes. Adio If has simple structure with 12mm wide, 17mm length, 3.5mm thickness. Its body is made of acrylic plastic, so it is light and strong. Check the video above about demonstration of the effect for correction of posture. Is it important to stand straight? What you notice first to put Adio If around your neck is that you are standing straight. A person who is out of shape has a reaction in shape of distortion of his body. Human body is connected by 24 pieces of bones from skull till pelvis, which is called spine. (Figure 1) In the central, bundles of nerve called spinal cord are running through, and the nerves are extended to each organ from there. Information sent from brain is extended through spinal cord. 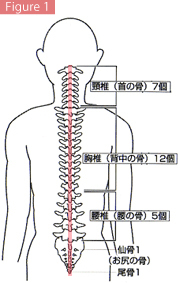 From here onwards, if there is distortion in spinal, nerves are compressed. You can easily imagine not only information sent from brain is not transmitted exactly, but problems will arise to a body. Adio If is playing a role as bodywork to cure distortion of the body. How come can we erect when we wear Adio If? It might be difficult to believe that distortion of a body will be fixed only to place the pendant around your neck. Why does it become straight posture when we wear Adio If? First of all, when we talk about it, we have to explain “brain stem”. Brain stem is a part of brain staying at the end of spine. This also known as “reptilian brain”, and it has a role to control the basic function of the body. Information sent from brain stem goes to spine all through medulla. Messages are carried in the form of waves (vibration), but a person who is out of shape has disordered vibration because of distortion of his body. As a way of organizing this disordered vibration, there is wave resonance phenomenon. What wave resonance phenomenon is, as you can see in tuning folks (Figure 3), when you beat one side of the tuning folk, another one which does not be touched at all also get the same vibration. Adio If is a pendant that applied the principle of this wave resonance. The wave (vibration) of brain stem and Adio if resonates each other, and then that correct the disordered vibration. What kind of effect does Adio If have? What kind of effect is coming up with Adio If? Distortion of spine is corrected and then disordered wave is organized; that means it will go back to real state of natural human. So now, what is it that the power which human being originally have but the modern person is on the way to lose? That is natural healing ability. Animals in natural world do not take medicine. Same as human being immemorially doesn’t depend on medicine or vitamin supplements, they cure the injury and overcome the sickness only by natural healing ability. This curative power of nature is useful for not only shoulder stiffness or backache. It is the power that cures all the part of the whole body. To wear Adio If and to increase natural healing power means that it has a beneficial effect on all the sickness or health problems. What kind of change do I have with Adio If? Although there is different from each person, your body become more natural situation when you wear Adio If. Hereby, the changes start to come out of your body. There are two main characteristics. In many cases it can be seen cold-like symptom is occur. This arises for body to become more natural and healthy status. The symptom is; feeling heavy, having cough, eczema, diarrhea, vomiting, and so on. Or it is often seen that you will have pain in the part of old sprain, get back the situation of the accident for five years ago, or calmed atopia is coming extremely out, and so on. Those problems are hiding under your body in usual life and you are not aware of them. They show up along with getting more and more tired, or getting out of shape. What recovery reaction is to find out these hidden bad parts before it becomes sick, and then to cure them from the bottom. Your body become more sensitive when you start to wear Adio If. Hereby, it may show up warning reaction against the things to harm your body. -	To feel tight and to become less able to wear constrictive clothing such as body suit or girdle. -	To get pain in knees by wearing shoes of dairy use. -	To be incapable to smoke at all though he has been smoking 60 pieces a day. -	To feel heavy and sick when he eat sweet food. -	To become to feel nauseas to the taste and odor of instant meals. These are all unnecessary things for human beings originally to live, so more natural body is having adverse reaction to them. What does it interfere with the effect of Adio If? Adio If is effective for all the ages from elders till baby, also for animal. However, even though you wear it, there are some cases it is hard to have its effect. This is because, many things against nature is overflowing around our modern human people. Even though the pendant makes wave resonance, it does not exactly send information from brain stem if there is barrier. Please pay attention to the next things below when you use Adio If. Innate is exactly called Innate Intelligence. 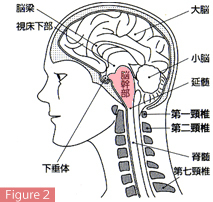 In Japanese Chiropractic word, it is translated as “congenital wisdom“. However, it is easy to understand the meaning when you interpret it as “the wisdom of inner nature”. Innate is composed of “In” and “Nature”, the meaning is inner nature. In our human body, there is a great nature called innate. 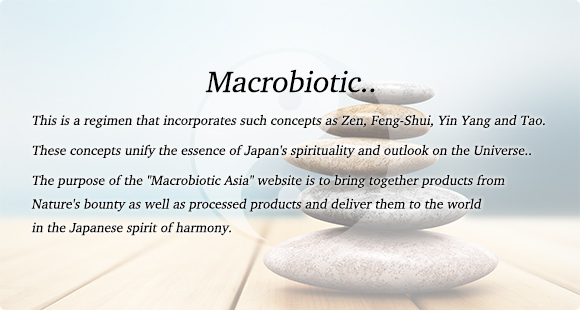 Innate is our life force as it is, and natural healing ability and inspiration is also a part of innate. Innate is made in brain (brain stem), and it goes around the entire body from there. When the stream of the innate goes smoothly, the natural healing ability also works actively. You can stay healthy without medicine or supportive care.